We provide high efficiant Surgical Suction Unit, which is available with two Unbreakable Poly Carbonate Collection Jars each with a capacity 2000ml. 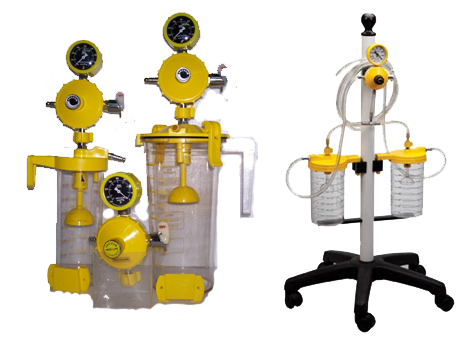 Due to some of the following salient features, our Medical Suction Unit has achieved a distinct edge in the global market. With 1m high-pressure hose at inlet and 2m low pressure hose at collection end of the jar.